After months of uncertainty a decision on the Saab saga can come this week. But who will be the new owner of Saab and what does its plan for Saab look like? The company that has been tipped as the favorite the last week or so is National Electric Vehicle Sweden. It is a company owned by Chinese energy corporation National Modern Energy Holdings and the Japanese risk-capital firm Sun Investment. There might also be Swedish stakeholders involved. 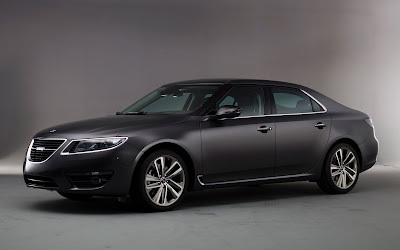 Back in March when we got the first word that a Japanese-Chinese consortium was interested in buying Saab and make electric vehicles, I wrote an entry titled "A Japanese-Chinese electrified Saab dream". This is take two. 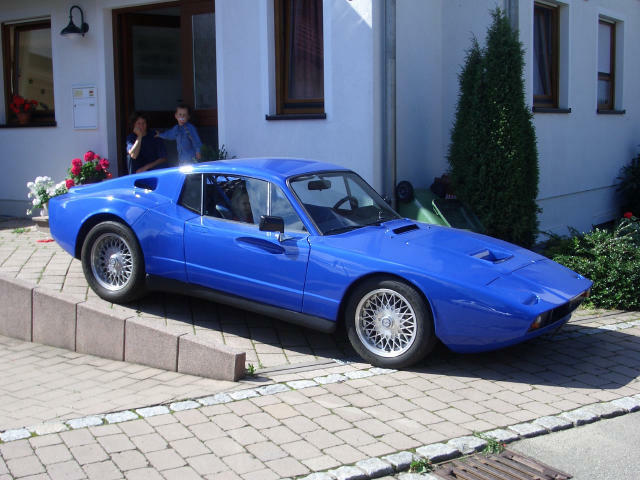 National Electric Vehicle Sweden is said to only be interested in electric and hybrid cars. It plans to first launch an electric car based on the current Saab 9-3 (look to the ePower concept) while the development continue of the Saab phoenix platform to be the base for future electric and hybrid cars. Other electric vehicles might also be produced on license in the mean time. But is this a viable business plan? First of all, I hope the owners have deep pockets. My assertion is that no company will make any money on electric cars for years to come. Most companies won't even cover the costs of developing and manufacturing the cars. In Western Europe and in the United States, which traditionally have been Saab's play ground, just a little over 20,000 electric cars were sold in 2011. In Western Europe 11,563 electric cars left the dealer lots. That is only a 0.09 per cent market share. In the United States only around 10,000 electric cars were sold. You might argue that 2011 was the first year that true competitive electric cars were available, which is a good point. The sales will of course increase considerably when more and more electric cars become available, but that will also mean that the competition will get tougher and tougher. So just how much of the electric car market is Saab going to take? In the "good old days" before Saab's problems started in 2009, Saab had maybe around 0.25 per cent of the global car sales. It would be daring to expect that Saab would do considerably better selling electric cars. The competitors will be the same. If we include hybrid cars, still less than 1 million was sold in 2011. And Gartner expects less than 3 million to be sold in 2017. 0.25 per cent of 1 million is 2,500 and of 3 million is 7,500. And remember that Saab's hybrid cars are maybe 2-3 years away from being launched. That's how much time "experts" say that Saab needs to complete the phoenix platform and launch cars. We know from the past year that to run Saab Automobile costs hundred of millions each month. Even if the work force is cut down to a minimum, the money will pour out. And so I repeat: I hope the owners of National Electric Vehicle Sweden have deep pockets! And to make matters worse, National Electric Vehicle Sweden doesn't seem to care about the current Saab owners. I make this assertion based on reports that National Electric Vehicle Sweden is not interested in buying Saab Automobile Parts, the company that supply genuine spare parts to Saab cars around the world. 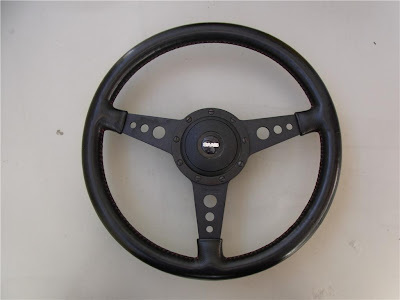 Saab Parts is the link between Saab and the owner of older Saab cars. And National Electric Vehicle Sweden is not interested in nurturing this link. Don't get me wrong, I am not against electric cars or hybrid cars. Saab needs both (or at least hybrid cars) in its portfolio. But the most important thing for a company like Saab is its current customers and not some future unknown customer who likes electric gadgets. We, the current loyal fans and customers, must be the fundament of the future customer base. But how on earth are National Electric Vehicle Sweden going to keep us when it doesn't even want to serve our current cars? So National Electric Vehicle Sweden, you have a lot of work to do to convince me (and I am sure many other Saab fans as well) that you are the best future owner of Saab and that you have the financial backbone to steer Saab through meagre years and to a bright future. Chinese Zhejiang Youngman Lotus Automobile, which has been trying to buy Saab for over a year, has now placed a renewed and better bid on the Saab bankruptcy estate. This according to local Trollhättan newspaper TTELA. Last week reports came through Swedish media that Youngman had been dropped as a bidder by the bankruptcy administrators. In from the wing came a dark horse later identified as National Electric Vehicle Sweden, a company owned by a Japanese-Chinese consortium. The past week National Electric Vehicle Sweden has been reported to be the favorite to acquire Saab. According to one report from Svenska Dagbladet, the deal was ready to be signed last weekend but was delayed or stopped for unknown reasons. Sources say that it was the Swedish National Debt Office (NDO) which stopped the deal from being closed on Sunday. Back in 2010 when Saab took a SEK 2.2 billion loan in the European Investment Bank (EIB), the NDO guaranteed the loan and took the shares in Saab Automobile Parts as collateral. Shortly after Saab filed for bankruptcy in December 2011, the NDO redeemed the loan and thus more or less took ownership of Saab Parts. One might speculate that the NDO stopped the deal with National Electric Vehicle Sweden last weekend because National Electric Vehicle Sweden has no interest in Saab Parts and is therefore unwilling to buy the company from the NDO. Chinese Youngman, on the other hand, is interested in acquiring all of the Saab companies, including Saab Parts, and a sale to Youngman would therefore guarantee that the NDO recovers the money it paid when redeeming Saab's loan in the EIB. With Chinese Youngman reentering the scene with a renewed and better bid, the NDO might see the possibility of a hassle free and quick sale of Saab Parts. As opposed to using lots of time and money to find new owners for Saab Parts. Youngman's latest bid is said to be of a considerable amount and the money is said to be available in Europe. According to Dagens Industri, Youngman is willing to pay SEK 4 billion in total, including SEK 2.2 billion for Saab Parts. Dagens Industri also reports that one reason that the deal with National Electric Vehicle Sweden was not reached last weekend, was because the buyers tried to negotiate the price down. So just maybe the Youngman bid is an offer too good to refuse for both the administrators and the NDO? Earlier today we reported that the deal to sell Saab to a Japanese-Chinese consortium with ties to Sweden was nearly done. Now information that Victor Muller is in Sweden strengthens the speculations that a deal is close. 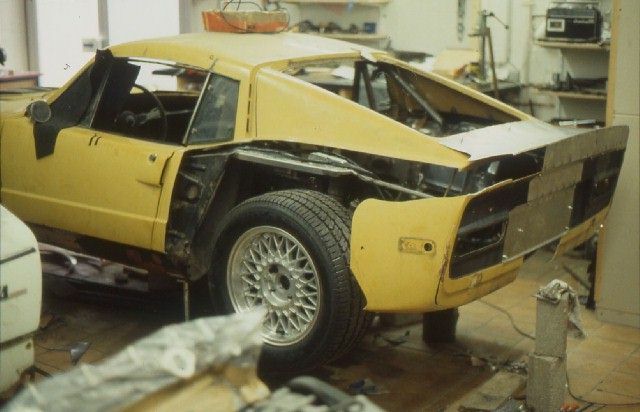 Victor Muller is the largest shareholder of Spyker Cars, which up til Saab filed for bankruptcy in December of last year, was the parent company of Saab. In addition, Muller was also Chairman of Saab and he also acted as CEO for Saab from May to December last year. "I'm going to Gothenburg, but I can not tell you what I am going to do in Sweden," Muller told TTELA from Frankfurt airport. It is believed that Muller will meet the bankruptcy administrators at their offices in Gothenburg when the final details of the deal are being worked out. Svenska Dagbladet last night reported that the deal to sell Saab is more or less ready and could have been signed already on Sunday. But the National Debt Office is for some reason slowing down and delaying the sale. The company in front to acquire the Saab bankruptcy estate is according to SvD's sources a Japanese-Chinese electric car consortium with ties to Sweden. The consortium has already registered a Swedish company named National Electric Vehicle Sweden AB, and it is believed that this company will take ownership of Saab. Representatives from the stakeholders in the consortium visited Saab in Trollhättan on Sunday, where they among others met with a group of automotive suppliers. The weekend's meeting with the bankruptcy administrators did however not bear fruit as the deal was not ready to be signed. Something that supposedly annoyed the Japanese and Chinese stakeholders. "I can confirm that we were in Trollhättan on Sunday. We gave a tour of the factory to the stakeholders in the consortium, but I can not comment on the dialog we have with the administrators or the Debt Office," said Mattias Bergman, spokesman of National Electric Vehicle Sweden. It is uncertain why the National Debt Office is slowing down the process, but it could be that the NDO is not satisfied with the information it has received concerning how the sale of the Saab bankruptcy estate will be carried out. The NDO still hold the shares in both Saab Autmobile Tools AB and Saab Automobile Parts AB as collateral for a SEK 2.2 billion loan Saab took in the European Investment Bank in 2010. When Saab filed for bankruptcy in December of last year, the NDO paid back the loans and in principle took control over the aforementioned Saab companies. It has earlier been reported that the Japanese-Chinese consortium is not interested in taking ownership over Saab Parts. But the consortium is unquestionably in need of Saab Tools to restart car production in Trollhättan. The consortium is said to be oriented towards electric car and possibly hybrid cars, which could mean that the consortium has little interest in the current Saab cars fueled by fossil fuel, and so the parts company could be of no interest. According to SvD, the business plan of the consortium is based on an electric version of the current Saab 9-3, license production of a japanese electric car and eventually a new generation electric Saab based on Saab's newly developed Phoenix platform. According to sources of local Trollhättan newspaper TTELA, the deal to sell the bankruptcy estate of Saab Automobile will be done this week. The bankruptcy adminsitrators responsible to carry through the sale said early in the process that the aim was to sell Saab before summer. And now sources say that the sale could be done this week. It is however uncertain if this means a finalized and done deal or if the negotiations need to continue into summer to work out all the details. As reported here many times before, the use of the Saab brand name and Gripen logo are protected by a three way agreement between Saab Automobile, the aerospace and defence company Saab AB and the commercial vehicle developer and producer Scania AB. I have been firm in my belief that Saab AB and Scania AB will ensure that a buyer of Saab Automobile must keep Saab in Sweden in order to use the brand name. And now the CEO of Saab AB thankfully confirms this stance in an interview done by Svenska Dagbladet. "We believe that it is important for a country like Sweden to have both research and development - and production. If there is a sustainable option with such a Swedish perspective, we will not object," Saab AB CEO Håkan Buskhe told SvD. Saab AB will however not allow the use of the brand name if the buyer is not willing to commit to keeping Saab Automobile in Sweden. "But it can not be a company which buys the brand name and leaves the country, then we will object," Buskhe said. And Saab AB is very familiar with one of the Saab Automobile suitors, Indian Mahindra & Mahindra. Both companies are involved in the defence industry. "It is no secret that we work very closely with Mahindra in different stragic partnerships. We know Mahindra very well," Buskhe could tell SvD. He would however not have any opinion on Mahindra's negotiations with the bankruptcy administrators. "We make up 0.1 per cent of the world's population and we are very dependent on export. We have to make the best out of what we have. That is how we look at Saab as a whole and how we look at Saab Automobile," Buskhe concluded. Thanks to Flattail for pointing me to this interview! Yesterday the news broke that the Japanese-Chinese consortium interested in acquiring Saab has registered a company in Sweden named National Electric Vehicle Sweden. Now Mattias Bergman, spokesman of the company, confirms a bid on Saab. "We can confirm that we are a bidder and that we are still interested in the assets of Saab," Mattias Bergman told Swedish news agency TT. "We will at the present not publicize our business plan. We are interested in what the brand name stands for, the high competence of Saab and the plant facilities which are world class," Mattias Bergman continued. "We will get back to the business plan and the number of employees needed in due time." The consortium consists of the Chinese energy corporation National Modern Energy Holdings and the Japanese risk capital firm Sun Investment. "They are the principal owners. There are other owners which we will not name at the moment," Bergman said. Sun Investment is a Japanese venture capital firm which was established four years ago and which invests in renewable energy. The Chinese company National Modern Energy Holdings is part of the concern National Bio Energy, which is Hong Kong based and has 7,000 employees. The corporation owns power plants in China and is focusing towards bioenergy. Youngman out, National Electric Vehicle Sweden in? And then there were one (or two, or three?). 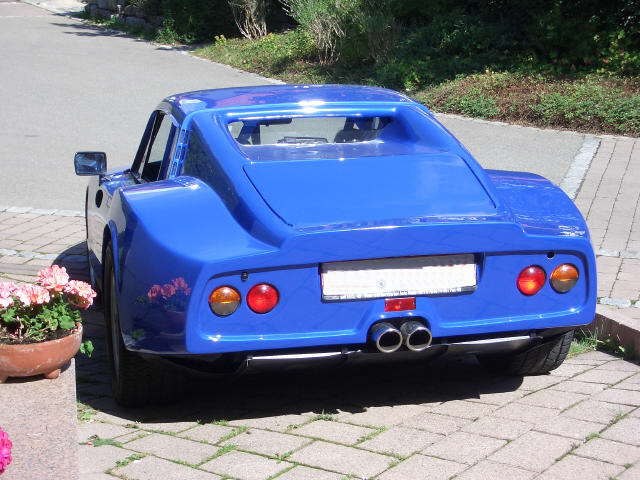 Reports in Swedish media say that Chinese Zhejiang Youngman Lotus Automobile now has been (or has willingly) dropped out of the race to buy the Saab bankruptcy estate. Sources say that the reason for the Youngman drop out is uncertainty about payments from Youngman since all major payments needs Government approval. Youngman then follows Turkish Brightwell Holdings which dropped out in February. This development would mean that we now are left with only mystery bidders. Indian Mahindra, which many times has been mentioned as a bidder, has never confirmed placing a bid on Saab within the final deadline. In addition, there might be one or two other bidders. One of these a consortium interested in starting electric car production. On Monday the company National Electric Vehicle Sweden was registered in Sweden. The purpose of the company is "development of electric vehicles and vehicle components and related business." Member of the board of this new companys is among others Karl-Erling Trogen, a former CEO of Volvo Trucks. "It's not just about electric cars, but also about larger volumes of hybrid cars related to a long term development in electric cars," a source said. It is suggested that the consortium no longer includes Panasonic, but now a Chinese car maker, which could be BAIC, a Chinese battery maker and Swedish stakeholders. But why shouldn't also this Chinese consortium run into problems with getting payments approved just like Youngman? Well, according to Swedish Radio P4 Väst, the consortium has its financing from outside China. Which of course also points to other stakeholders in he consortium besides Chinese companies. If this consortium wins the battle, then it is bye bye to the Saab we know. It's said that they will probably not want the Saab Parts company, which would mean that they are not interested in the Saab cars presently on the roads. Maybe not even the Saab brand name. Yesterday Swedish newspaper Svenska Dagbladet wrote that Spyker could still be holding the license to produce the Saab 9-5. 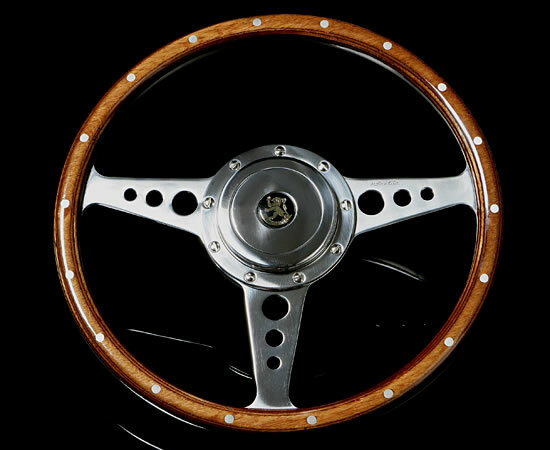 Furthermore that a buyer of Saab could produce the 9-5 on behalf of Spyker. SvD and its reporter Jonas Fröberg is usually a very reliable source, but now Victor Muller, CEO og Spyker and former CEO of Saab, says that the story is not true. "This is nonsense. It is something someone has made up," Muller told TTELA. "I have honestly no idea where this story originate from. I have never heard of anything like this until the media made up the story. The usual nonsense," Muller said. According to Swedish business newspaper Dagens Industri, a new and yet undisclosed Chinese company has entered the battle to win Saab. "It's correct that for the last two weeks there have been four parties interested in the Saab business," said Lars Holmqvist, former head of the European suppliers association CLEPA to DI. The four interested parties would be Chinese Zhejiang Youngman Lotus Automobile, Indian Mahindra & Mahindra, a Chinese-Japanese consortium with unknown stakeholders and now the latest bidder, an undisclosed Chinese company. "I do not know how serious they are. I still believe that Chinese Youngman is in the lead seeing that they have already invested money in Saab," Holmqvist told Swedish news agency TT. Speculations have it that this new indisclosed party could be Chinese Qoros Auto. Qoros is a new car brand aiming to launched their first car at the Geneva Motor Show next year. It has been said that the cars will be produced by Magna Steyr, but if the company acquires Saab in Trollhättan, that could change. We have reported earlier here on Life with Saab that a number of former Saab executives, managers and engineers have actually been hired by Qoros. And that would of course mean that Qoros now has a good understanding of the values and possibilities in the Saab bankruptcy estate. Qoros also has hired former people from Volvo, BMW and Volkswagen, and the company seem to be serious about entering the European market with competitive vehicles. DI's sources say that the administrators may start negotiations with the new stakeholder should the talks with Mahindra and Youngman break down. Swedish newspaper Svenska Dagbladet today has very interesting article about a possible Spyker come back in the Saab deal. Spyker has apparently hired the law firm Hökerberg & Söderqvist to look through all the deals Spyker made with GM back in 2010 when Spyker took ownership of Saab. And now the lawyers have concluded that Spyker might still hold the license to produce the new Saab 9-5. "I can not go into the specifics, but it could be that the company has a contract that says that it can not transfer this deal over to anyone else - but then one could instead turn to subcontracting - without coming in breach of the contract," said lawyer Lars Söderqvist to SvD. This could turn out to be very important in the Saab deal as a possible new owner of Saab could produce the Saab 9-5 as a subcontractor for Spyker. 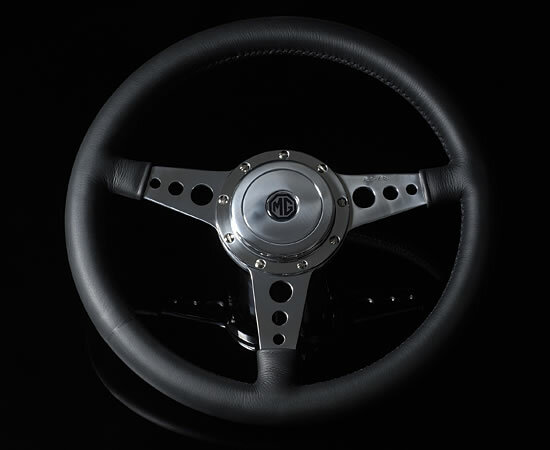 But it could also result in GM buying back the license from Spyker to prevent future use of the license. It's been a quiet week. Both concerning news about the sale of the Saab bankruptcy estate but also regarding other Saab news. But here's a piece of good news from today. Thousands of Saab spare parts are on the way to the market place! Logistics companies Trollhättan Terminal and DHL Exel Supply Chain have been storing thousands of square meters of parts and components since the production at Saab stopped one year ago. Engines, transmission, airbags, antennas, instrument panels etc etc. The Saab parts and components which were valued to SEK 234 million before the bankruptcy. So we are talking about a lot of parts! "We have a 6,000 pallets completely full of Saab components on a surface of 10,000 square meters," says Anders Forsberg, head at Trollhättan Terminal, to TTELA. "Several have shown interest. They range from individual dealers and to other parties who are interested in spare parts for Saab." Let's hope the part you are looking for is on the way to a dealer near you. Last weekend Linus Ohlsson of Team Tidö/PWR Racing won the first race in the new TTA racing series in a Saab 9-3. Here's a video from the event. Today was the much anticipated premiere of the Swedish TTA racing series where four Saab 9-3 cars participated. 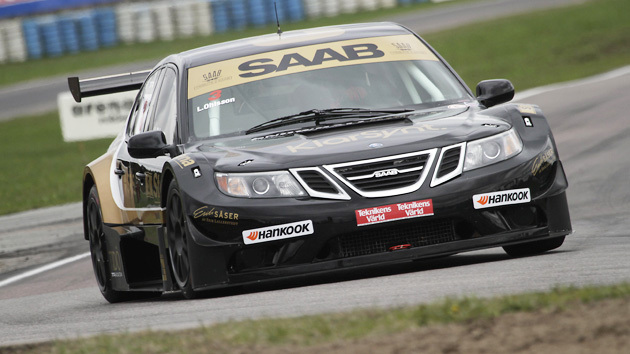 And 21-year old Linus Ohlsson won the race in his Saab 9-3. Linus Ohlsson held pole position after the qualifying round earlier today. Ohlsson was ahead of more merited drivers like Fredrik Ekblom in Volvo and four time Swedish champion Richard Göransson driving a BMW. In the actual race Linus Ohlsson in his Saab 9-3 held the first place from start to finish. And the young Swede now leads the TTA championship after scoring three points for the pole position in the qualifying round and thereafter winning Saturday's race. According to sources of Svenska Dagbladet, three bidders on the Saab bankruptcy estate have now been reduced to two. Last week news came through that the bankruptcy administrators would choose two preferred bidders with whom to negotiate a sale of the Saab bankruptcy estate. Now sources of SvD confirm that only two bidders remain and these two bidders are Chinese Zhejiang Youngman Lotus Automobile and Indian Mahindra & Mahindra. A third bidder, said to be Japanese Panasonic and Chinese BAIC working with Swedish parties, has left the bidding. But a return for part of that consortium could be possible through an alliance with Mahindra. A factor that could put extra pressure on the administrators to reach a quick sales deal, is the report that Hemfose, which last year bought half of the Saab property company, will demand rent from the administrators from May 15th and forward. Rent that would amount to millions and strain the economy of the estate. All this now point to a Saab sale done shortly and possibly within the end of May. It's almost been five months since Saab Automobile filed for bankruptcy. In these five months many former Saab employees have found new jobs. 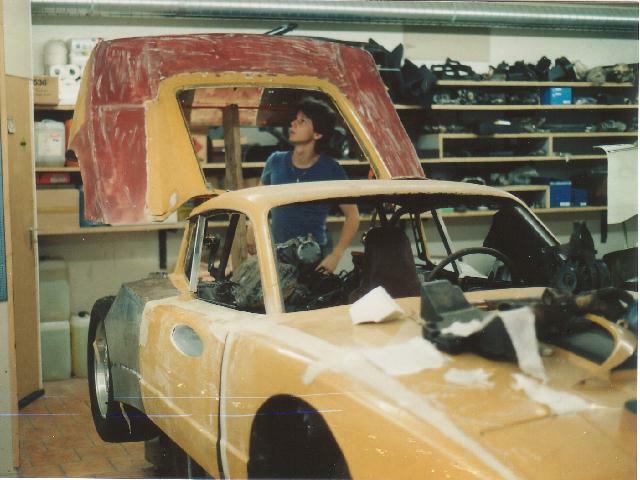 In Sweden there is a great demand for engineers and many of the Saab engineers have moved on to new jobs. But also Saab's top management has moved on. Former Saab Executive Director of Communications, Eric Geers, will start working for Chinese Qoros. Qoros is a new car brand to be launched at the Geneva Motor Show next year. A sedan, a coupé and a SUV will be launched next year. The cars will be produced by Magna Steyr. "My job will be to build an organization that will handle the information and communication towards Europe," Eric Geers told TTELA. Also many former Saab engineers, as well as people from Volvo, BMW and Volkswagen have been recruited by the Chinese company. Geers will still live in Sweden, but commute to China. Also former Saab Vice President Vehicle Product Development, Mats Fägerhag, has gotten a new job. He found his new job a little closer than Geers did. Fägerhag will be in charge of Volvo's new Alliance Office. His jobb will be to handle cooperations and alliance projects in product development. Here's a customized Saab Sonett III from Germany. As far as I can understand, this car was once a yellow Sonett belonging to a US soldier stationed in Germany. But one night the car was vandalized. 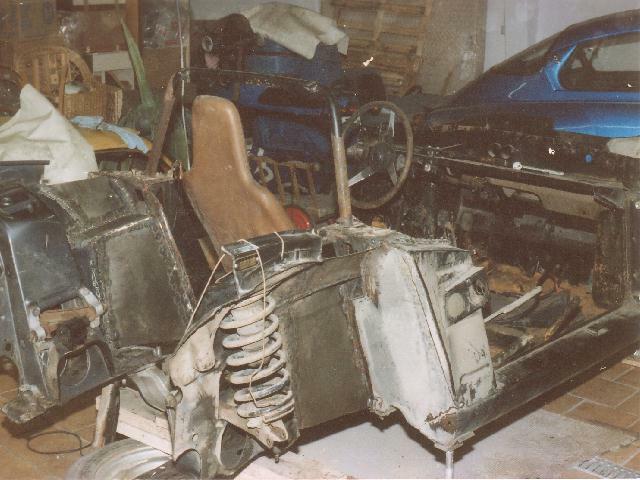 The car was badly damaged with many cracks in the fiber glass body. Heartbroken the soldier sold the Sonett to a used car salesman, but the salesman just let the car deteriorate. It was further vandalized when the front and read windows were smashed in. And now the Sonett was parked outside in the rain and slowly dying. 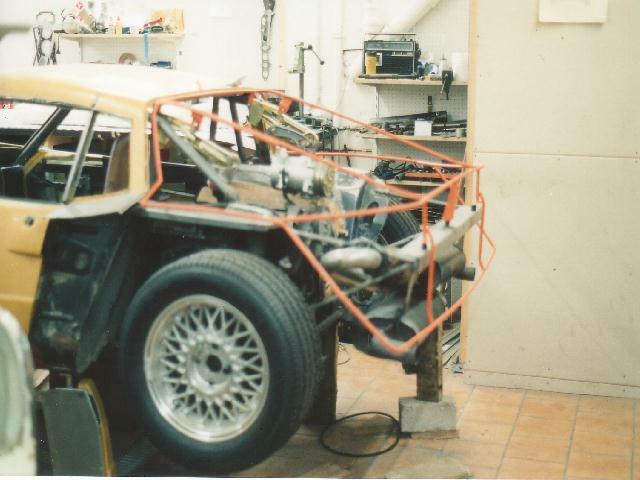 The car now has a rear mounted turbo engine from a Saab 900. It is rear wheel drive and as you can see from the pictures the rear is completely redesigned. In an interview with Swedish TV, SVT, Pang Qingnian of Youngman said last weekend that the Saab bankruptcy administrators will decide on two preferred bidders within two weeks and then enter into negotiations with these two bidders. Earlier the administrators have said that the goal is to have a deal before summer. To SVD Pang Qingnian confirmed that Youngman wants to acquire the complete bankruptcy estate and that all former employees are welcome back to Saab. In other words, hang in there folks, looks like a decision will be reached shortly! 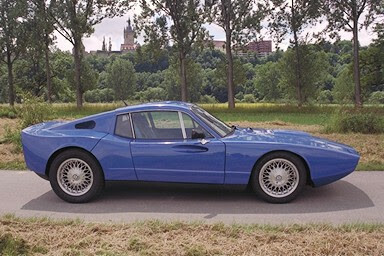 Today I have traveled the last leg of my trip to buy and transport home a Saab Sonett. At seven o'clock in the morning the Hurtigrute ship arrived in Trondheim, the third largest city in Norway. Trondheim is best known for the Nidaros Cathedral, founded in 1070 on the burial ground of Saint Olaf of Norway, and a destination for pilgrims coming from all of Northern Europe. On this early Tuesday May 1st (a public holiday in Norway) the roads were more or less deserted. I drove through the city without stopped for traffic even once. The journey took my south east and my first break was on the Dovre mountain pass. On the top of Dovre the mountain tops were still covered in snow, but fortunately the road was dry and free of snow and ice. The weather was wonderful. Blue sky and a warming sun. Driving over Dovre was actually a small detour. The reason for the detour was located in Grimsbu. From Dovre I drove down Folldal and came to Grimsbu. And I am very glad I made this detour, or else I wouldn't have this next picture to show you. From the classic BP gas station in Grimsbu, I drove straight home. And after eight hours in the car, with only a handful of 10-15 minutes breaks, I have to say that I am surprised how comfortable the seats and the sitting position in the Sonett is! I am really starting to love this car. But let's talk more about the Sonett loving in a later post. Ps: In case you wondered if the Sonett came from the two day sea journey unharmed, I'm pleased to say yes. When I went down to the car deck to get the car, the seaman at the car deck told me that they had had to moved the car a little back and forth in order to place fenders around it. Thank you Hurtigruten, for taking such good care of your goods, and of your guests as well. I promise I will return for another journey!